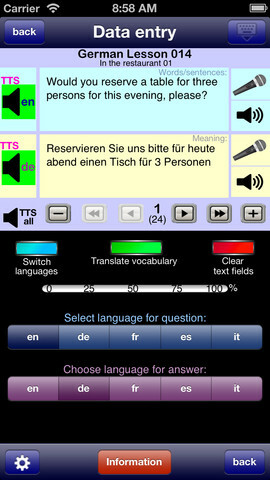 Language Trainer Four in ONE iPhone App Review: Wunderbar! 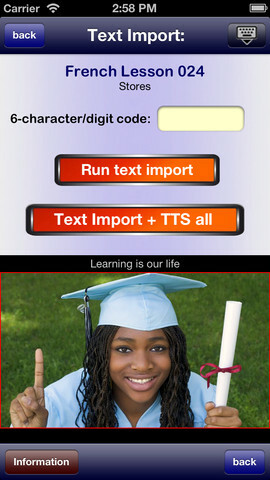 Language Trainer Four in ONE is an iPhone app developed by Josef Karl. If you’re a native English speaker looking to brush up your skills in German, French, Spanish, or Italian, this helpful vocab app is an invaluable resource. Language Trainer has an interface that is a riot of color. For people who need color breaks to stay focused on the task at hand, this is great news. Language Trainer is a solid tool for learning vocabulary, sentences, and grammar that can help you navigate a new country. I think that part of what makes Language Trainer Four in ONE a great app is the fact that this app offers automatic Text-To-Speech conversion and voice recording via microphone. These features really take this app to the next level, in terms of getting comfortable speaking what you’ve learned out loud. Not every app can offer that. You can listen to new vocabulary lessons, practice using new words, and get graded on your skills. You can also create custom learning plans by picking and choosing from existing lessons. With 58 lessons with 1300 vocabulary items to peruse, Language Trainer is a great resource for learning travel and conversational words about shopping, dining, sports, directions, or the human body. If you need to buy something, talk to a doctor, or order a meal, these lessons will give you the wherewithal to do so. Overall, this app seems like it would be best for brushing up rusty skills, rather than learning from fresh. However, I think beginners, intermediate, and even some advanced language students can benefit from this helpful tool. Definitely give it a shot if one of the supported languages is something you have an interest in. 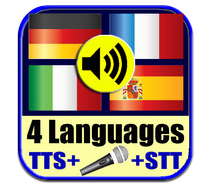 Language Trainer Four in ONEis compatible with iPhone, iPod touch, and iPad. Requires iOS 4.3 or later. This app is optimized for iPhone 5.